Ryerson has a lot to offer. I am sure you all have heard that before. But do you actually know what that means? I did not understand this concept in my first year. I was overwhelmed by the new environment at Ryerson and my course load. I focused on getting to classes and going back home right after school. I did not attend any events or workshops, nor did I even know about most of them. If you are the same, do not worry. You can still change this and get the most out of your time at Ryerson. I got involved on campus and within TRSM after joining the BUS 100 Facilitation team. Being a BUS 100 Facilitator was an incredible experience that changed my life at Ryerson. It enhanced my communication and leadership skills and gave me a different perspective of the university experience. The team I worked with was just as important to my development as an engaged student. 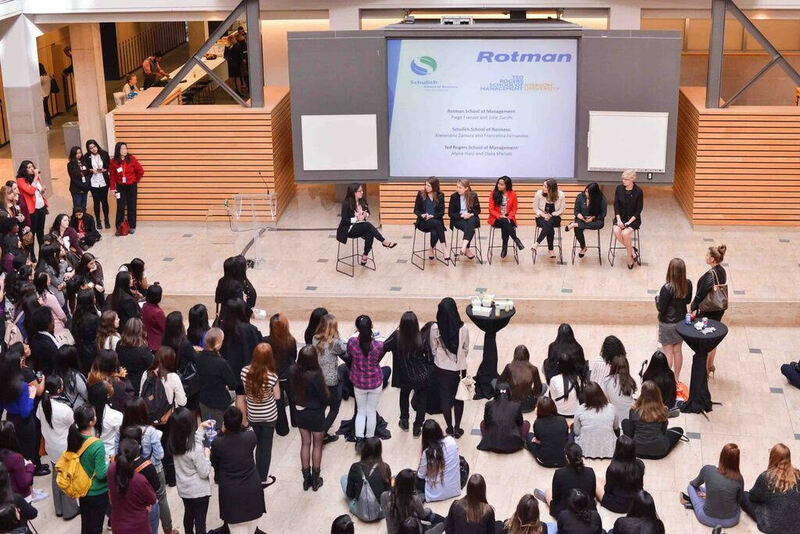 By working alongside other successful student leaders, I learned a lot about ongoing opportunities and events, such as the Women in Capital Markets Conference, Excel workshops offered by Business Career Hub and the Top 200 program. They inspired me to get involved through their own knowledge and involvement within Ryerson, and I am so glad I did. That was the best decision I have made throughout my time as a TRSM student. Find a group or union that interests you. It does not have to be the same one as your major or program. Some groups are already hiring for new members, and even more will be hiring soon for the 2018/2019 school year. 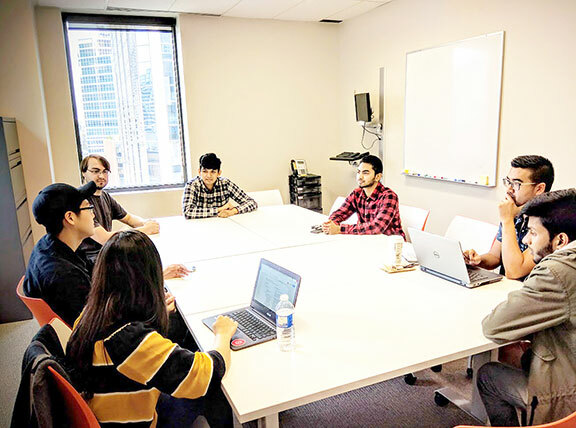 You can learn more about the student groups available at TRSM by visiting the Ted Rogers Students’ Society (TRSS) website or more broadly within Ryerson through the Ryerson Student Union website. This is your chance to develop your skills and meet new people while working on something you enjoy. If you do not get hired, do not get discouraged! You can still attend the events facilitated by that student group. While you will not have as much responsibility, you will still get to experience the events and connect with new people. If you can manage working and studying at the same time, I would definitely recommend you to look for opportunities at Ryerson. I loved being a BUS 100 Facilitator, and there are so many options for different positions on campus. You can work for Student Learning Support, the TRSM Academic Success Centre, the Tri-mentoring program and many more interesting campus offices. Check out the Career Boost website for positions available on campus. The atmosphere at Ryerson is very welcoming for student workers, and your supervisor will be just as invested in your development as you are. Experienced speakers and industry professionals host talks, workshops and share their advice directed specifically at students. One of the most influential speakers I have heard this year was at Ryerson. Hamza Khan, successful author of the book “The Burnout Gamble,” explained the stages and danger of burnout at the Economics and Management Science Course Union Case Competition. He shared a story about a man working long hours at the bank, sleeping very little, and focusing all of his time on work. One day, he did not come to work because he passed away. This unexpected ending was a reminder that we often overwork and overlook ourselves. Often when attending campus events, we hear stories that will influence and resonate with us. I am sure this is something you will experience as well. If you are looking to attend an external conference outside of TRSM, TRSS may even support you financially to attend it. Visit their website for more details. How can you keep track of all of these campus events? Follow the student groups you like on social media. Read the email that Anna Servedio, Coordinator, Student Engagement and Alumni Development, sends every week. Try not to skip this email as you go through your inbox. It is a very important email that has all the information you need about amazing job/volunteer opportunities, case competitions, conferences, events and so much more. Make sure to click “View/download the entire message” not to miss anything. Do not leave right after your class. You can also use the time to get to know other students, study together or find some quiet space to catch up on your studies on your own. There are different areas where you can go. Quiet floors are located in the Library (floors 8-10) or SLC (floor 7) for individual study. You can book a room to study with friends by using Room Booking System (available from the Library Home Page). You can also borrow a laptop from the Library (2nd floor) for up to four hours if you need it to study. In addition, there is an “Ask the librarian” service that is available for you online. You can ask any question and get instant help during their business hours. The TRSM Academic Success Centre provides tutoring and facilitated study groups for a variety of courses as well. Or, you can visit SLC 4th floor for Math Support, Writing Support or English Language Support. The TRSM Business Career Hub is a must stop too if you need help with your resume, cover letter or you need someone to talk to about your job opportunities or questions regarding co-op. Another option is hitting the gym to relax and destress. Using the gym equipment at the RAC/MAC is free for all Ryerson students. There is one free group fitness class every day, a big swimming pool and times to accommodate women-only workouts or scheduled free swim time if you need it. It takes some effort to get out of your comfort zone and get involved. However, you will feel the benefits of it. It will increase your confidence and communication skills, and you will meet many interesting people. You never know which connection will turn out to be beneficial for you in the future. Almost all of the speakers at the events I attended said that getting involved in school was the best thing they did. And the regrets some of those speakers had was solely focusing on their classes and not paying enough attention to extra-curriculum activities on campus. So be proactive, explore Ryerson, and invest in your future. 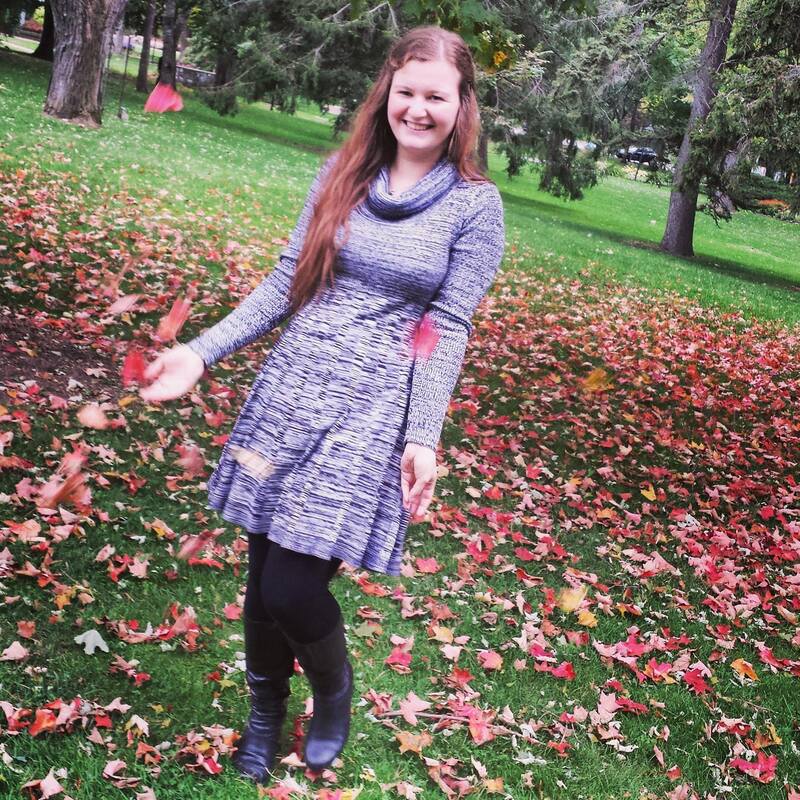 Jane is a second-year student in Business Management program, majoring in Economics and Management Science and minoring in Finance. She is a Student Support Specialist, which means she is the primary point of contact for all walk-in, email and phone inquiries at Academic Success Centre. Jane is also a proud recipient of the James R Bullock Award for the outstanding academic performance from TRSM and an Academic Excellence Award from the Department of Economics. She is additionally involved with the Economics and Management Science Course Union and a mentor for the Breakthrough Program and Tri-Mentoring Program.